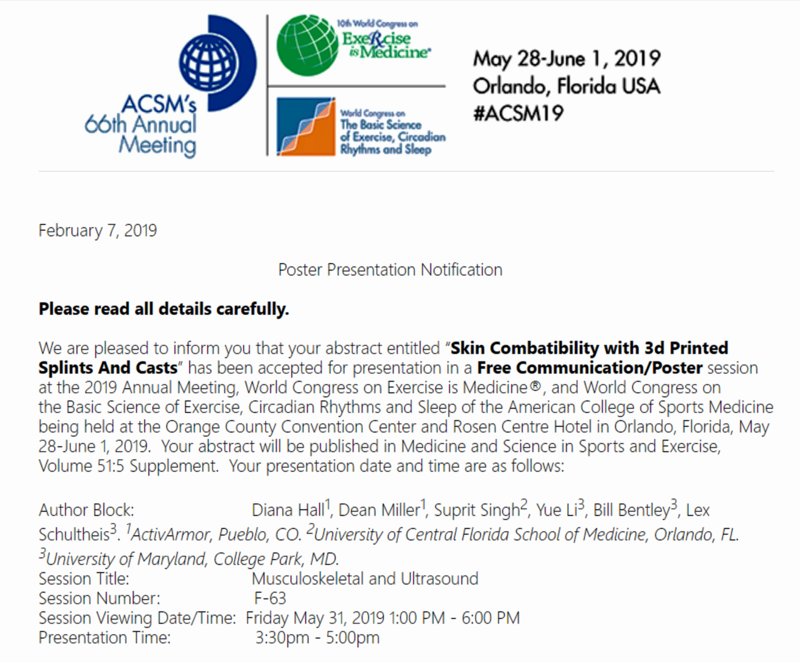 ActivArmor, the leaders in 3D printed orthoses, have been asked to present yet another research abstract at the 2019 ACSM annual conference in Orlando. Our presentation will be at the 2019 American College of Sports Medicine (ACSM) 2019 Annual Meeting, World Congress on Exercise is Medicine, and the World Congress on the Basic Science of Exercise, Circadian Rhythms and Sleep. The presentation is being held at the Orange County Convention Center and Rosen Centre Hotel in Orlando, Florida, May 28 – June 1, 1019. 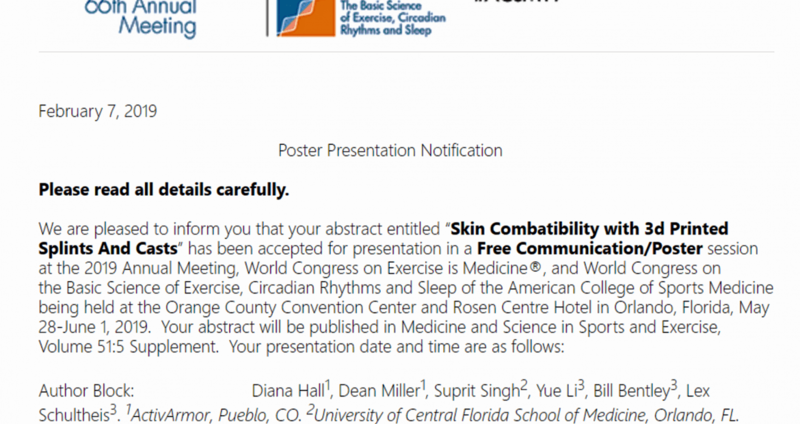 The abstract will be published in Medicine and Science in Sports and Exercise, Volume 51:5 Supplement. Diana will present the research on Friday, May 31 from 3:30 – 5 p.m., with Poster/Data viewing from 1 p.m. to 6 p.m. that day.